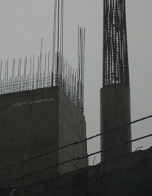 An unfinished concrete building juts up into a thundery Bangkok sky. Pic of the Week – 23 April 2007 by Raphael de Jesus Galante © 2005 All images are digitally watermarked – please don’t infringe copyright! 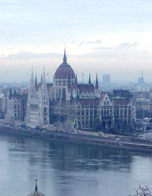 The Országház, or Hungarian Parliament building, stands majestically on the bank of the River Danube in Budapest. 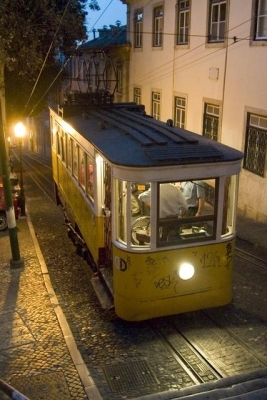 Pic of the Week – 2 April 2007 by bazzo2006 © 2006 All images are digitally watermarked – please don’t infringe copyright! 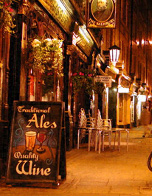 Here’s a view of The Salisbury pub, in St Martin’s Court just off St Martin’s Lane in the heart of London’s “Theatreland”. 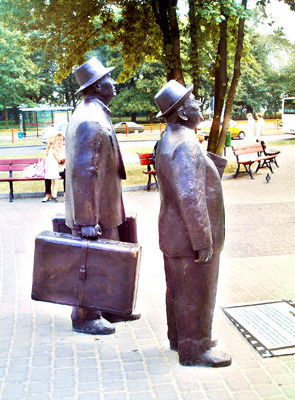 Pic of the Week – 26 March 2007 Maciej Lewandowski © 2006 This is a statue of two travellers taken by Maciej Lewandowski in his home town of Torun, Poland. Maciej currently lives in Invergowrie in Angus.